Important moments for those following the proposed Enbridge pipeline debate closely. A huge crowd gathered for the photo shoot for an ad urging Premier Clark to protect the BC coast. 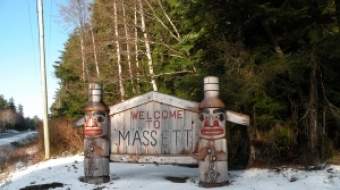 In Massett, on the north end of Haida Gwaii, everyone depends on a clean ocean in one way or another. 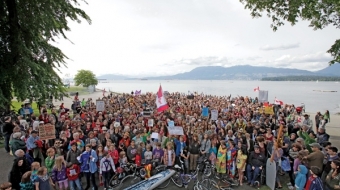 This makes supertankers to service the Enbridge pipeline unacceptable to residents.